Whether you enjoy hiking through verdant parks, listening to music or indulging in the arts – Rochester offers recreational opportunities for you and your family. Situated on the Genesee River and the historic Erie Canal, Rochester’s many waterways provide the area with stunning beaches for sunbathers, unique boating opportunities, bountiful fishing locales and picturesque trails along the river and the Canal, which now supports a growing tourism industry. While you may not think of it as a coastal town, the city’s location on Lake Ontario makes Rochester an attractive destination for locals, day-trippers and vacationers looking to revel in nature. Trails and Parks and…Lions? Oh My! For those who haven’t quite developed your proverbial sea legs or prefer shade to sun, the city also provides a diverse collection of trails and parks. Hikers, dog-walkers, Frisbee enthusiasts and those looking for a relaxing stroll among the lilacs, pines and oaks that abound in western New York have many options from which to choose. Many area parks feature extensive playgrounds and sit adjacent to other attractions such as the Seneca Park Zoo. In driving distance, nature aficionados will find state parks such as Letchworth and Stonybrook, Hamlin Beach Park and other well-priced camping venues that offer a wide variety of amenities. Besides being home to the Rochester Red Wings baseball team, the Rochester Amerks hockey team, the Rochester Knighthawks lacrosse team and our soccer franchise, the Rochester Rhinos, Rochester is also plays host to more eclectic teams such as the Roc City Roller Derby League (pictured right). Whatever your sport of choice, Rochester probably has a collegiate, semi-professional or professional team to cheer for. In fact, the NFL’s Buffalo Bills hold their annual training camp in Rochester at St. John Fisher College. If you want to get out and play instead of sitting in the stands, The Genesee Valley Park Sports Complex features an ice rink, one of several in the Rochester area, and a full aquatics facility. 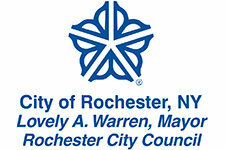 The City of Rochester also maintains recreation centers and public pools throughout the city. These facilities offer indoor and outdoor basketball courts, football/soccer fields, tennis courts, game rooms, gyms and much more. Rochester is also host to a myriad of foot races throughout the year. The Greater Rochester Track club offers competitive opportunities for runners and athletes of all ages. Cyclists can enjoy casual rides along the canal or through parks and quiet neighborhoods. Additionally, Rochester is home to several bike clubs and cycling races and tours. Episcopal Senior Life Communities offers a variety of health and wellness programs specifically designed for seniors in the River Edge area of Rochester, including yoga, balance class, art class and much more! Visit http://www.EpiscopalSeniorLife.org and click on the River Edge option. From the legendary George Eastman House and the Eastman Theater, to the Strasenburgh Planetarium, the Little Theater and the Rochester Memorial Art Gallery – Rochester offers recreational opportunities for burgeoning artists and the casual patron. Click here for more information about arts and culture in Rochester, including exciting festivals such as the Lilac Festival, Corn Hill Arts Festival, the Jazz Fest, the Clothesline Arts and Crafts Festival, Maplewood Rose Festival and the Park Avenue Festival.